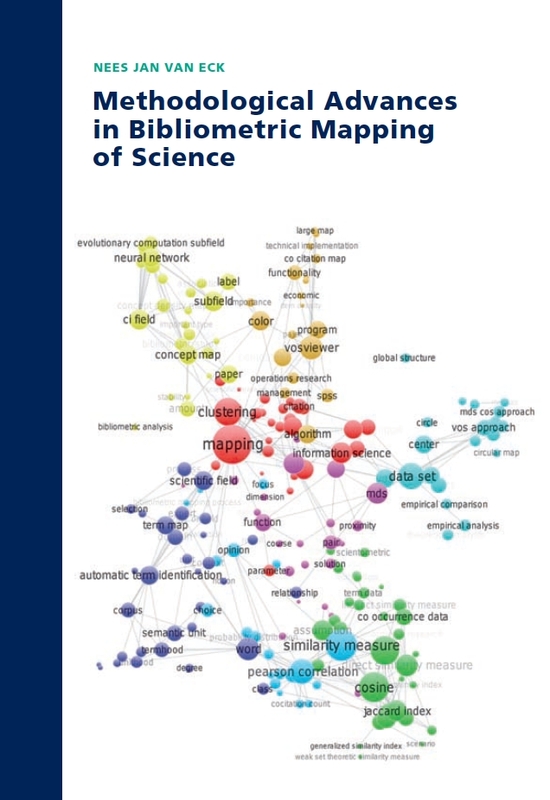 Bibliometric mapping of science is concerned with quantitative methods for visually representing scientific literature based on bibliographic data. Since the first pioneering efforts in the 1970s, a large number of methods and techniques for bibliometric mapping have been proposed and tested. Although this has not resulted in a single generally accepted methodological standard, it did result in a limited set of commonly used methods and techniques. In this thesis, a new methodology for bibliometric mapping is presented. It is argued that some well-known methods and techniques for bibliometric mapping have serious shortcomings. For instance, the mathematical justification of a number of commonly used normalization methods is criticized, and popular multidimensional-scaling-based approaches for constructing bibliometric maps are shown to suffer from artifacts, especially when working with larger data sets. The methodology introduced in this thesis aims to provide improved methods and techniques for bibliometric mapping. The thesis contains an extensive mathematical analysis of normalization methods, indicating that the so-called association strength measure has the most satisfactory mathematical properties. The thesis also introduces the VOS technique for constructing bibliometric maps, where VOS stands for visualization of similarities. Compared with well-known multidimensional-scaling-based approaches, the VOS technique is shown to produce more satisfactory maps. In addition to the VOS mapping technique, the thesis also presents the VOS clustering technique. Together, these two techniques provide a unified framework for mapping and clustering. Finally, the VOSviewer software for constructing, displaying, and exploring bibliometric maps is introduced.